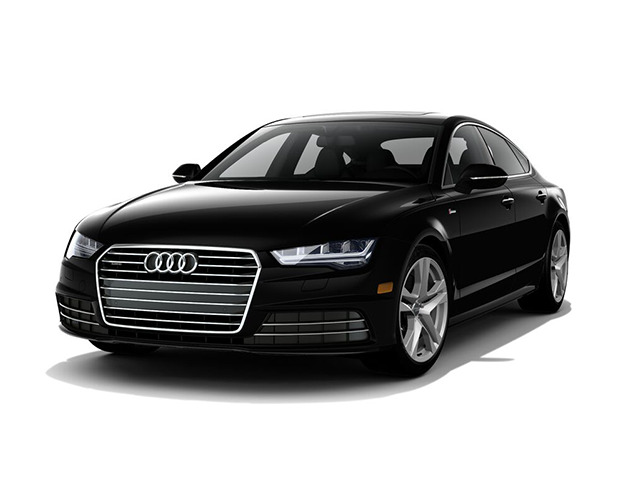 Looking for New Audi Vehicles near St. James, NY? As a premier New York Audi Dealership, Audi of Smithtown wants to give you the best prices combined with our unforgettable customer service. We are proud to offer the latest incentives from Audi on New Vehicle Specials. Browse our New Audi Vehicle Specials below. Contact us for more details. Available only to qualified customers through Audi Financial Services through 1/2/2099. 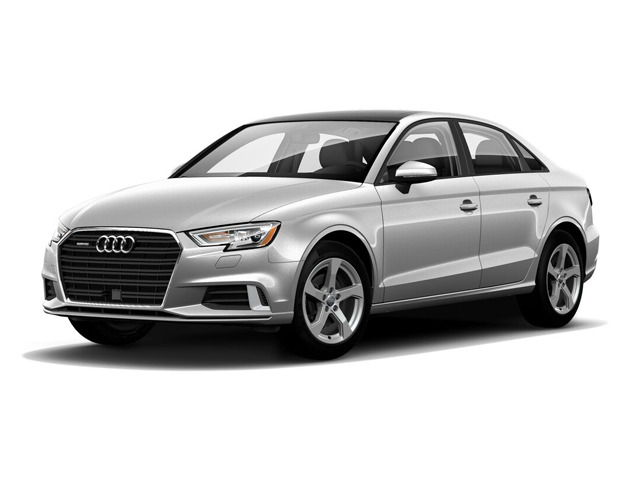 2019 Audi A3 Sedan 2.0T Premium FWD, with an MSRP of $35,480. $3,498 due at signing includes $2,995 down, $0 security deposit, $0 acquisition fee and first month's payment of $503, excludes retailer fees, additional options, taxes, title and registration fees. Total monthly payments equal $18,108. Total payments equal $21,103. Actual rates and payments of closed-end lease may vary. Not everyone will qualify. You must take new retail delivery from dealer stock by 1/2/2099. Lessee responsible for insurance, maintenance, excess wear and excess mileage over 30,000 miles at $0.25 /mile. All amounts shown are estimates, retailer sets actual amounts. Residency restrictions apply. Lessee has option to purchase vehicle at lease end at price negotiated with retailer and approved lender at signing. Termination fee may apply. Contact dealer for availability and for complete details. Available only to qualified customers through Audi Financial Services through 1/2/2099. 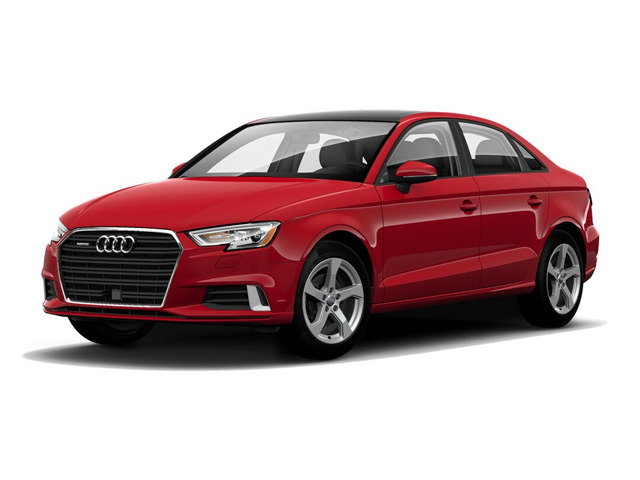 2019 Audi A3 Sedan 2.0T Premium AWD, with an MSRP of $39,080. $4,433 due at signing includes $2,995 down, $0 security deposit, $895 acquisition fee and first month's payment of $543, excludes retailer fees, additional options, taxes, title and registration fees. Total monthly payments equal $19,548. Total payments equal $23,438. Actual rates and payments of closed-end lease may vary. Not everyone will qualify. You must take new retail delivery from dealer stock by 1/2/2099. Lessee responsible for insurance, maintenance, excess wear and excess mileage over 30,000 miles at $0.25 /mile. All amounts shown are estimates, retailer sets actual amounts. Residency restrictions apply. Lessee has option to purchase vehicle at lease end at price negotiated with retailer and approved lender at signing. Termination fee may apply. Contact dealer for availability and for complete details. Available only to qualified customers through Audi Financial Services through 1/2/2099. 2019 Audi A4 2.0T Premium Plus S Tronic AWD, with an MSRP of $49,860. $3,561 due at signing includes $2,999 down, $0 security deposit, $0 acquisition fee and first month's payment of $562, excludes retailer fees, additional options, taxes, title and registration fees. Total monthly payments equal $20,232. Total payments equal $23,231. Actual rates and payments of closed-end lease may vary. Not everyone will qualify. You must take new retail delivery from dealer stock by 1/2/2099. Lessee responsible for insurance, maintenance, excess wear and excess mileage over 30,000 miles at $0.25 /mile. All amounts shown are estimates, retailer sets actual amounts. Residency restrictions apply. Lessee has option to purchase vehicle at lease end at price negotiated with retailer and approved lender at signing. Termination fee may apply. Contact dealer for availability and for complete details. Available only to qualified customers through Audi Financial Services through 1/2/2099. 2019 Audi A4 2.0T Premium S Tronic AWD, with an MSRP of $43,590. $3,471 due at signing includes $2,999 down, $0 security deposit, $0 acquisition fee and first month's payment of $472, excludes retailer fees, additional options, taxes, title and registration fees. Total monthly payments equal $16,992. Total payments equal $19,991. Actual rates and payments of closed-end lease may vary. Not everyone will qualify. You must take new retail delivery from dealer stock by 1/2/2099. Lessee responsible for insurance, maintenance, excess wear and excess mileage over 30,000 miles at $0.25 /mile. All amounts shown are estimates, retailer sets actual amounts. Residency restrictions apply. Lessee has option to purchase vehicle at lease end at price negotiated with retailer and approved lender at signing. Termination fee may apply. Contact dealer for availability and for complete details. Available only to qualified customers through Audi Financial Services through 1/2/2099. 2019 Audi A5 Cabriolet 2.0T Premium, with an MSRP of $54,240. $4,594 due at signing includes $2,995 down, $0 security deposit, $895 acquisition fee and first month's payment of $704, excludes retailer fees, additional options, taxes, title and registration fees. Total monthly payments equal $25,344. Total payments equal $29,234. Actual rates and payments of closed-end lease may vary. Not everyone will qualify. You must take new retail delivery from dealer stock by 1/2/2099. Lessee responsible for insurance, maintenance, excess wear and excess mileage over 30,000 miles at $0.25 /mile. All amounts shown are estimates, retailer sets actual amounts. Residency restrictions apply. Lessee has option to purchase vehicle at lease end at price negotiated with retailer and approved lender at signing. Termination fee may apply. Contact dealer for availability and for complete details. Available only to qualified customers through Audi Financial Services through 1/2/2099. 2019 Audi A5 Cabriolet 2.0T Premium Plus, with an MSRP of $57,035. $4,636 due at signing includes $2,995 down, $0 security deposit, $895 acquisition fee and first month's payment of $746, excludes retailer fees, additional options, taxes, title and registration fees. Total monthly payments equal $26,856. Total payments equal $30,746. Actual rates and payments of closed-end lease may vary. Not everyone will qualify. You must take new retail delivery from dealer stock by 1/2/2099. Lessee responsible for insurance, maintenance, excess wear and excess mileage over 30,000 miles at $0.25 /mile. All amounts shown are estimates, retailer sets actual amounts. Residency restrictions apply. Lessee has option to purchase vehicle at lease end at price negotiated with retailer and approved lender at signing. Termination fee may apply. Contact dealer for availability and for complete details. Available only to qualified customers through Audi Financial Services through 1/2/2099. 2018 Audi A5 Coupe 2.0T Premium S Plus Tronic, with an MSRP of $52,055. $4,552 due at signing includes $2,995 down, $0 security deposit, $895 acquisition fee and first month's payment of $662, excludes retailer fees, additional options, taxes, title and registration fees. Total monthly payments equal $23,832. Total payments equal $27,722. Actual rates and payments of closed-end lease may vary. Not everyone will qualify. You must take new retail delivery from dealer stock by 1/2/2099. Lessee responsible for insurance, maintenance, excess wear and excess mileage over 22,500 miles at $0.25 /mile. All amounts shown are estimates, retailer sets actual amounts. Residency restrictions apply. Lessee has option to purchase vehicle at lease end at price negotiated with retailer and approved lender at signing. Termination fee may apply. Contact dealer for availability and for complete details. Available only to qualified customers through Audi Financial Services through 1/2/2099. 2019 Audi A5 Coupe 2.0T Premium S Tronic, with an MSRP of $47,460. $3,551 due at signing includes $2,995 down, $0 security deposit, $0 acquisition fee and first month's payment of $556, excludes retailer fees, additional options, taxes, title and registration fees. Total monthly payments equal $20,016. Total payments equal $23,011. Actual rates and payments of closed-end lease may vary. Not everyone will qualify. You must take new retail delivery from dealer stock by 1/2/2099. Lessee responsible for insurance, maintenance, excess wear and excess mileage over 30,000 miles at $0.25 /mile. All amounts shown are estimates, retailer sets actual amounts. Residency restrictions apply. Lessee has option to purchase vehicle at lease end at price negotiated with retailer and approved lender at signing. Termination fee may apply. Contact dealer for availability and for complete details. Available only to qualified customers through Audi Financial Services through 1/2/2099. 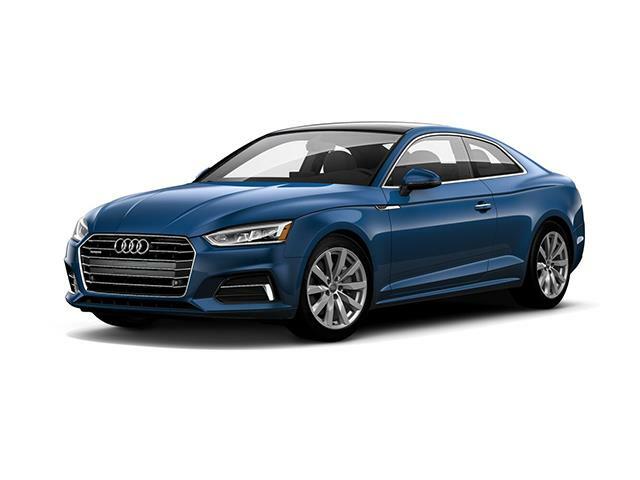 2019 Audi A5 Coupe 2.0T Premium Plus S Tronic, with an MSRP of $50,740. $3,597 due at signing includes $2,995 down, $0 security deposit, $0 acquisition fee and first month's payment of $602, excludes retailer fees, additional options, taxes, title and registration fees. Total monthly payments equal $21,672. Total payments equal $24,667. Actual rates and payments of closed-end lease may vary. Not everyone will qualify. You must take new retail delivery from dealer stock by 1/2/2099. Lessee responsible for insurance, maintenance, excess wear and excess mileage over 30,000 miles at $0.25 /mile. All amounts shown are estimates, retailer sets actual amounts. Residency restrictions apply. Lessee has option to purchase vehicle at lease end at price negotiated with retailer and approved lender at signing. Termination fee may apply. Contact dealer for availability and for complete details. Available only to qualified customers through Audi Financial Services through 1/2/2099. 2019 Audi A6 3.0T Prestige AWD, with an MSRP of $74,300. $4,975 due at signing includes $3,999 down, $0 security deposit, $0 acquisition fee and first month's payment of $976, excludes retailer fees, additional options, taxes, title and registration fees. Total monthly payments equal $35,136. Total payments equal $39,135. Actual rates and payments of closed-end lease may vary. Not everyone will qualify. You must take new retail delivery from dealer stock by 1/2/2099. Lessee responsible for insurance, maintenance, excess wear and excess mileage over 30,000 miles at $0.25 /mile. All amounts shown are estimates, retailer sets actual amounts. Residency restrictions apply. Lessee has option to purchase vehicle at lease end at price negotiated with retailer and approved lender at signing. Termination fee may apply. Contact dealer for availability and for complete details. Available only to qualified customers through Audi Financial Services through 1/2/2099. 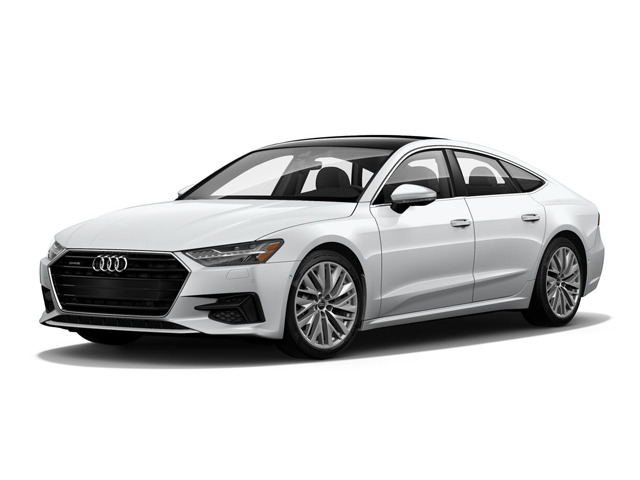 2019 Audi A7 Premium Plus, with an MSRP of $78,000. $6,052 due at signing includes $4,999 down, $0 security deposit, $0 acquisition fee and first month's payment of $1,053, excludes retailer fees, additional options, taxes, title and registration fees. Total monthly payments equal $37,908. Total payments equal $42,907. Actual rates and payments of closed-end lease may vary. Not everyone will qualify. You must take new retail delivery from dealer stock by 1/2/2099. Lessee responsible for insurance, maintenance, excess wear and excess mileage over 30,000 miles at $0.25 /mile. All amounts shown are estimates, retailer sets actual amounts. Residency restrictions apply. Lessee has option to purchase vehicle at lease end at price negotiated with retailer and approved lender at signing. Termination fee may apply. Contact dealer for availability and for complete details. Available only to qualified customers through Audi Financial Services through 1/2/2099. 2018 Audi A7 3.0T Premium Plus, with an MSRP of $73,715. $6,867 due at signing includes $4,999 down, $0 security deposit, $895 acquisition fee and first month's payment of $973, excludes retailer fees, additional options, taxes, title and registration fees. Total monthly payments equal $35,028. Total payments equal $40,922. Actual rates and payments of closed-end lease may vary. Not everyone will qualify. You must take new retail delivery from dealer stock by 1/2/2099. Lessee responsible for insurance, maintenance, excess wear and excess mileage over 30,000 miles at $0.25 /mile. All amounts shown are estimates, retailer sets actual amounts. Residency restrictions apply. Lessee has option to purchase vehicle at lease end at price negotiated with retailer and approved lender at signing. Termination fee may apply. Contact dealer for availability and for complete details. Available only to qualified customers through Audi Financial Services through 1/2/2099. 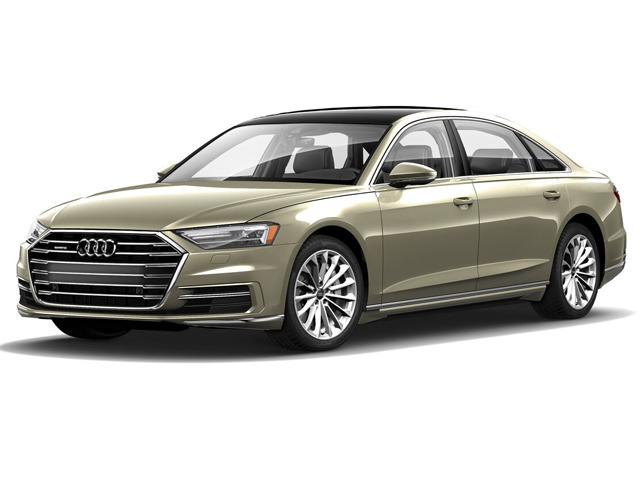 2019 Audi A8 3.0T, with an MSRP of $91,510. $4,325 due at signing includes $2,995 down, $0 security deposit, $0 acquisition fee and first month's payment of $1,330, excludes retailer fees, additional options, taxes, title and registration fees. Total monthly payments equal $47,880. Total payments equal $50,875. Actual rates and payments of closed-end lease may vary. Not everyone will qualify. You must take new retail delivery from dealer stock by 1/2/2099. Lessee responsible for insurance, maintenance, excess wear and excess mileage over 30,000 miles at $0.25 /mile. All amounts shown are estimates, retailer sets actual amounts. Residency restrictions apply. Lessee has option to purchase vehicle at lease end at price negotiated with retailer and approved lender at signing. Termination fee may apply. Contact dealer for availability and for complete details. Available only to qualified customers through Audi Financial Services through 1/2/2099. 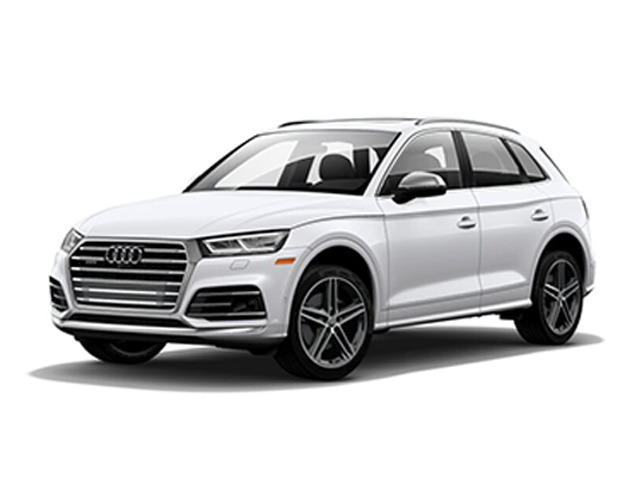 2019 Audi Q5 2.0T Premium Plus, with an MSRP of $52,200. $5,501 due at signing includes $3,999 down, $0 security deposit, $895 acquisition fee and first month's payment of $607, excludes retailer fees, additional options, taxes, title and registration fees. Total monthly payments equal $21,852. Total payments equal $26,746. Actual rates and payments of closed-end lease may vary. Not everyone will qualify. You must take new retail delivery from dealer stock by 1/2/2099. Lessee responsible for insurance, maintenance, excess wear and excess mileage over 30,000 miles at $0.25 /mile. All amounts shown are estimates, retailer sets actual amounts. Residency restrictions apply. Lessee has option to purchase vehicle at lease end at price negotiated with retailer and approved lender at signing. Termination fee may apply. Contact dealer for availability and for complete details. Available only to qualified customers through Audi Financial Services through 1/2/2099. 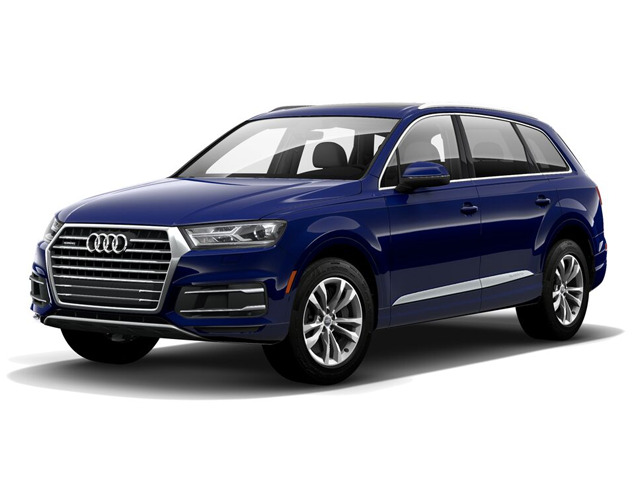 2019 Audi Q5 2.0T Premium, with an MSRP of $46,265. $5,415 due at signing includes $3,999 down, $0 security deposit, $895 acquisition fee and first month's payment of $521, excludes retailer fees, additional options, taxes, title and registration fees. Total monthly payments equal $18,756. Total payments equal $23,650. Actual rates and payments of closed-end lease may vary. Not everyone will qualify. You must take new retail delivery from dealer stock by 1/2/2099. Lessee responsible for insurance, maintenance, excess wear and excess mileage over 30,000 miles at $0.25 /mile. All amounts shown are estimates, retailer sets actual amounts. Residency restrictions apply. Lessee has option to purchase vehicle at lease end at price negotiated with retailer and approved lender at signing. Termination fee may apply. Contact dealer for availability and for complete details. 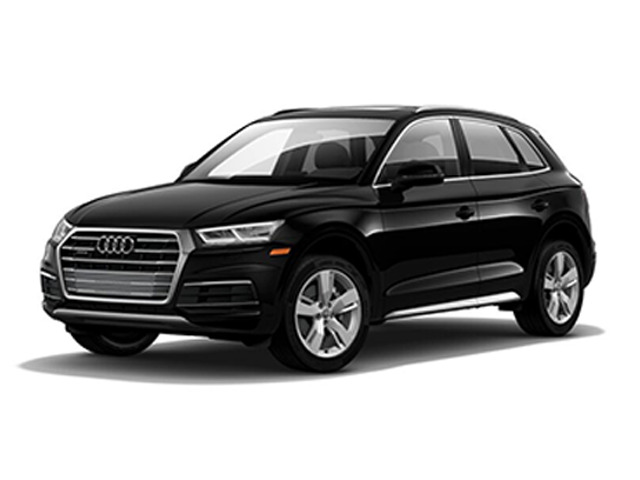 Available only to qualified customers through 2019 Audi Q5 2.0T Prestige, with an MSRP of $55,555. $4,608 due at signing includes $3,999 down, $0 security deposit, $895 acquisition fee and first month's payment of $718, excludes retailer fees, additional options, taxes, title and registration fees. Total monthly payments equal $25,848. Total payments equal $30,742. Actual rates and payments of closed-end lease may vary. Not everyone will qualify. You must take new retail delivery from dealer stock by 1/2/2099. Lessee responsible for insurance, maintenance, excess wear and excess mileage over 30,000 miles at $0.25 /mile. All amounts shown are estimates, retailer sets actual amounts. Residency restrictions apply. Lessee has option to purchase vehicle at lease end at price negotiated with retailer and approved lender at signing. Termination fee may apply. Contact dealer for availability and for complete details. Available only to qualified customers through Audi Financial Services through 1/2/2099. 2019 Audi Q7 3.0T Premium, with an MSRP of $62,695. $4,677 due at signing includes $2,995 down, $0 security deposit, $895 acquisition fee and first month's payment of $787, excludes retailer fees, additional options, taxes, title and registration fees. Total monthly payments equal $28,332. Total payments equal $32,222. Actual rates and payments of closed-end lease may vary. Not everyone will qualify. You must take new retail delivery from dealer stock by 1/2/2099. Lessee responsible for insurance, maintenance, excess wear and excess mileage over 30,000 miles at $0.25 /mile. All amounts shown are estimates, retailer sets actual amounts. Residency restrictions apply. Lessee has option to purchase vehicle at lease end at price negotiated with retailer and approved lender at signing. Termination fee may apply. Contact dealer for availability and for complete details. Available only to qualified customers through Audi Financial Services through 1/2/2099. 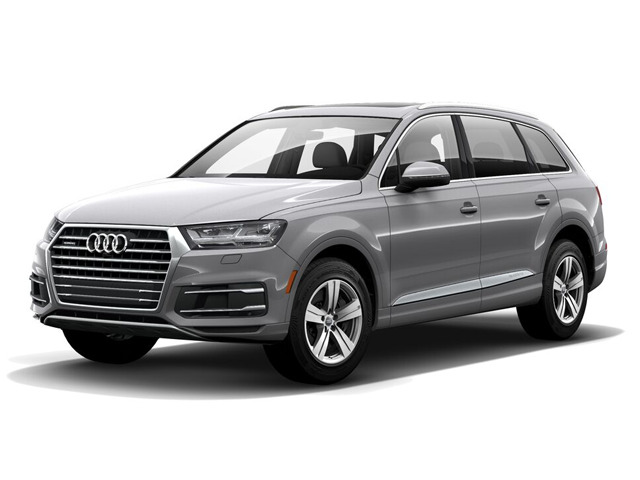 2019 Audi Q7 2.0T Premium, with an MSRP of $58,120. $4,608 due at signing includes $2,995 down, $0 security deposit, $895 acquisition fee and first month's payment of $718, excludes retailer fees, additional options, taxes, title and registration fees. Total monthly payments equal $25,848. Total payments equal $29,738. Actual rates and payments of closed-end lease may vary. Not everyone will qualify. You must take new retail delivery from dealer stock by 1/2/2099. Lessee responsible for insurance, maintenance, excess wear and excess mileage over 30,000 miles at $0.25 /mile. All amounts shown are estimates, retailer sets actual amounts. Residency restrictions apply. Lessee has option to purchase vehicle at lease end at price negotiated with retailer and approved lender at signing. Termination fee may apply. Contact dealer for availability and for complete details. Available only to qualified customers through Audi Financial Services through 1/2/2099. 2019 Audi Q7 3.0T Premium Plus, with an MSRP of $65,970. $4,725 due at signing includes $2,995 down, $0 security deposit, $895 acquisition fee and first month's payment of $835, excludes retailer fees, additional options, taxes, title and registration fees. Total monthly payments equal $30,060. Total payments equal $33,950. Actual rates and payments of closed-end lease may vary. Not everyone will qualify. You must take new retail delivery from dealer stock by 1/2/2099. Lessee responsible for insurance, maintenance, excess wear and excess mileage over 30,000 miles at $0.25 /mile. All amounts shown are estimates, retailer sets actual amounts. Residency restrictions apply. Lessee has option to purchase vehicle at lease end at price negotiated with retailer and approved lender at signing. Termination fee may apply. Contact dealer for availability and for complete details. Available only to qualified customers through Audi Financial Services through 1/2/2099. 2019 Audi Q7 2.0T Premium Plus, with an MSRP of $61,085. $3,756 due at signing includes $2,995 down, $0 security deposit, $0 acquisition fee and first month's payment of $761, excludes retailer fees, additional options, taxes, title and registration fees. Total monthly payments equal $27,396. Total payments equal $30,391. Actual rates and payments of closed-end lease may vary. Not everyone will qualify. You must take new retail delivery from dealer stock by 1/2/2099. Lessee responsible for insurance, maintenance, excess wear and excess mileage over 30,000 miles at $0.25 /mile. All amounts shown are estimates, retailer sets actual amounts. Residency restrictions apply. Lessee has option to purchase vehicle at lease end at price negotiated with retailer and approved lender at signing. Termination fee may apply. Contact dealer for availability and for complete details. Available only to qualified customers through Audi Financial Services through 1/2/2099. 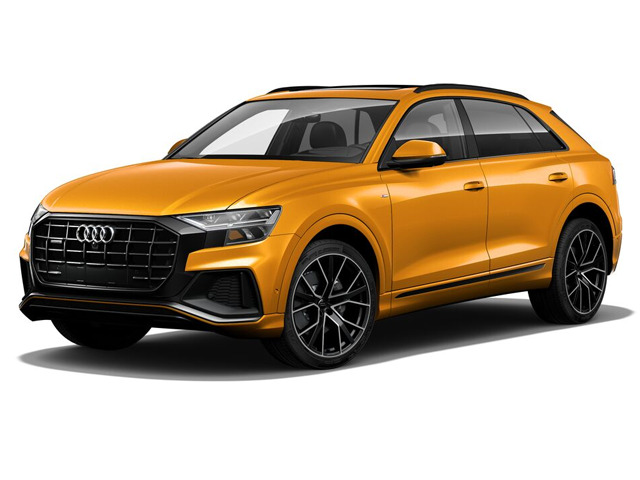 2019 Audi Q8 3.0T Premium, with an MSRP of $70,735. $4,814 due at signing includes $2,995 down, $0 security deposit, $895 acquisition fee and first month's payment of $924, excludes retailer fees, additional options, taxes, title and registration fees. Total monthly payments equal $33,264. Total payments equal $37,154. Actual rates and payments of closed-end lease may vary. Not everyone will qualify. You must take new retail delivery from dealer stock by 1/2/2099. Lessee responsible for insurance, maintenance, excess wear and excess mileage over 30,000 miles at $0.25 /mile. All amounts shown are estimates, retailer sets actual amounts. Residency restrictions apply. Lessee has option to purchase vehicle at lease end at price negotiated with retailer and approved lender at signing. Termination fee may apply. Contact dealer for availability and for complete details. Available only to qualified customers through Audi Financial Services through 1/2/2099. 2019 Audi Q8 3.0T Prestige, with an MSRP of $81,050. $4,970 due at signing includes $2,995 down, $0 security deposit, $895 acquisition fee and first month's payment of $1,080, excludes retailer fees, additional options, taxes, title and registration fees. Total monthly payments equal $38,880. Total payments equal $42,770. Actual rates and payments of closed-end lease may vary. Not everyone will qualify. You must take new retail delivery from dealer stock by 1/2/2099. Lessee responsible for insurance, maintenance, excess wear and excess mileage over 30,000 miles at $0.25 /mile. All amounts shown are estimates, retailer sets actual amounts. Residency restrictions apply. Lessee has option to purchase vehicle at lease end at price negotiated with retailer and approved lender at signing. Termination fee may apply. Contact dealer for availability and for complete details. Available only to qualified customers through Audi Financial Services through 1/2/2099. 2019 Audi RS 5 Coupe 2.9T, with an MSRP of $84,940. $4,310 due at signing includes $2,995 down, $0 security deposit, $0 acquisition fee and first month's payment of $1,315, excludes retailer fees, additional options, taxes, title and registration fees. Total monthly payments equal $47,340. Total payments equal $50,335. Actual rates and payments of closed-end lease may vary. Not everyone will qualify. You must take new retail delivery from dealer stock by 1/2/2099. Lessee responsible for insurance, maintenance, excess wear and excess mileage over 30,000 miles at $0.25 /mile. All amounts shown are estimates, retailer sets actual amounts. Residency restrictions apply. Lessee has option to purchase vehicle at lease end at price negotiated with retailer and approved lender at signing. Termination fee may apply. Contact dealer for availability and for complete details. Available only to qualified customers through Audi Financial Services through 1/2/2099. 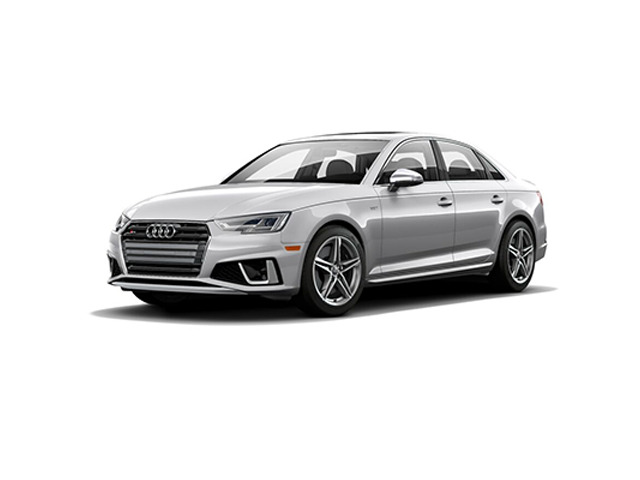 2019 Audi S4 3.0T Premium Plus AWD, with an MSRP of $62,855. $3,710 due at signing includes $2,995 down, $0 security deposit, $0 acquisition fee and first month's payment of $715, excludes retailer fees, additional options, taxes, title and registration fees. Total monthly payments equal $25,740. Total payments equal $28,735. Actual rates and payments of closed-end lease may vary. Not everyone will qualify. You must take new retail delivery from dealer stock by 1/2/2099. Lessee responsible for insurance, maintenance, excess wear and excess mileage over 30,000 miles at $0.25 /mile. All amounts shown are estimates, retailer sets actual amounts. Residency restrictions apply. Lessee has option to purchase vehicle at lease end at price negotiated with retailer and approved lender at signing. Termination fee may apply. Contact dealer for availability and for complete details. Available only to qualified customers through Audi Financial Services through 1/2/2099. 2018 Audi S5 Cabriolet 3.0T Premium Plus, with an MSRP of $71,440. $4,847 due at signing includes $2,995 down, $0 security deposit, $895 acquisition fee and first month's payment of $957, excludes retailer fees, additional options, taxes, title and registration fees. Total monthly payments equal $34,452. Total payments equal $38,342. Actual rates and payments of closed-end lease may vary. Not everyone will qualify. You must take new retail delivery from dealer stock by 1/2/2099. Lessee responsible for insurance, maintenance, excess wear and excess mileage over 30,000 miles at $0.25 /mile. All amounts shown are estimates, retailer sets actual amounts. Residency restrictions apply. Lessee has option to purchase vehicle at lease end at price negotiated with retailer and approved lender at signing. Termination fee may apply. Contact dealer for availability and for complete details. Available only to qualified customers through Audi Financial Services through 1/2/2099. 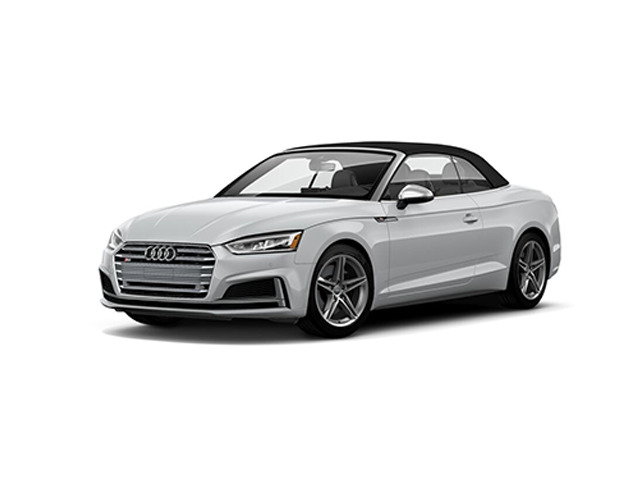 2019 Audi S5 Cabriolet 3.0T Premium Plus, with an MSRP of $72,345. $3,946 due at signing includes $2,995 down, $0 security deposit, $0 acquisition fee and first month's payment of $951, excludes retailer fees, additional options, taxes, title and registration fees. Total monthly payments equal $34,236. Total payments equal $37,231. Actual rates and payments of closed-end lease may vary. Not everyone will qualify. You must take new retail delivery from dealer stock by 1/2/2099. Lessee responsible for insurance, maintenance, excess wear and excess mileage over 30,000 miles at $0.25 /mile. All amounts shown are estimates, retailer sets actual amounts. Residency restrictions apply. Lessee has option to purchase vehicle at lease end at price negotiated with retailer and approved lender at signing. Termination fee may apply. Contact dealer for availability and for complete details. Available only to qualified customers through Audi Financial Services through 1/2/2099. 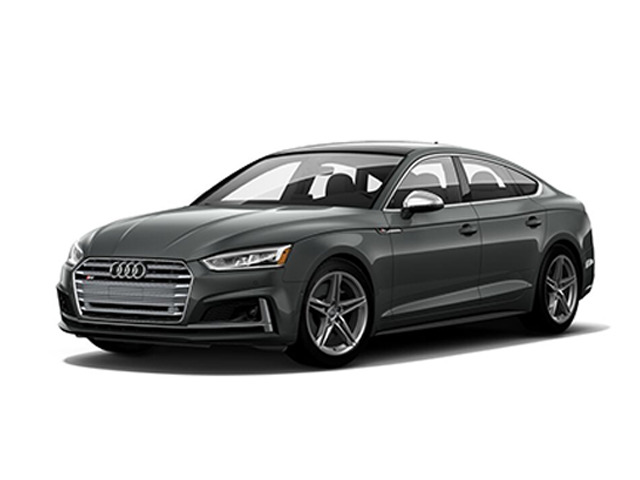 2019 Audi S5 Sportback 3.0T Premium Plus, with an MSRP of $64,315. $3,834 due at signing includes $2,995 down, $0 security deposit, $0 acquisition fee and first month's payment of $839, excludes retailer fees, additional options, taxes, title and registration fees. Total monthly payments equal $30,204. Total payments equal $33,199. Actual rates and payments of closed-end lease may vary. Not everyone will qualify. You must take new retail delivery from dealer stock by 1/2/2099. Lessee responsible for insurance, maintenance, excess wear and excess mileage over 30,000 miles at $0.25 /mile. All amounts shown are estimates, retailer sets actual amounts. Residency restrictions apply. Lessee has option to purchase vehicle at lease end at price negotiated with retailer and approved lender at signing. Termination fee may apply. Contact dealer for availability and for complete details. Available only to qualified customers through Audi Financial Services through 1/2/2099. 2019 Audi S5 Sportback 3.0T Prestige, with an MSRP of $67,095. $4,770 due at signing includes $2,995 down, $0 security deposit, $895 acquisition fee and first month's payment of $880, excludes retailer fees, additional options, taxes, title and registration fees. Total monthly payments equal $31,680. Total payments equal $35,570. Actual rates and payments of closed-end lease may vary. Not everyone will qualify. You must take new retail delivery from dealer stock by 1/2/2099. Lessee responsible for insurance, maintenance, excess wear and excess mileage over 30,000 miles at $0.25 /mile. All amounts shown are estimates, retailer sets actual amounts. Residency restrictions apply. Lessee has option to purchase vehicle at lease end at price negotiated with retailer and approved lender at signing. Termination fee may apply. Contact dealer for availability and for complete details. Available only to qualified customers through Audi Financial Services through 1/2/2099. 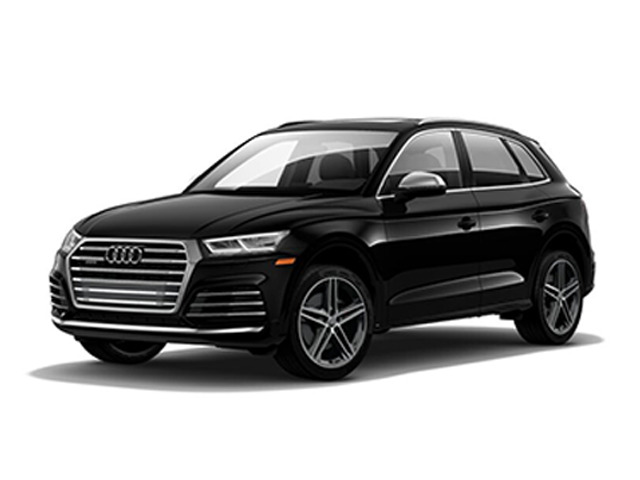 2019 Audi SQ5 3.0T Premium Plus, with an MSRP of $60,645. $4,604 due at signing includes $2,995 down, $0 security deposit, $895 acquisition fee and first month's payment of $714, excludes retailer fees, additional options, taxes, title and registration fees. Total monthly payments equal $25,704. Total payments equal $29,594. Actual rates and payments of closed-end lease may vary. Not everyone will qualify. You must take new retail delivery from dealer stock by 1/2/2099. Lessee responsible for insurance, maintenance, excess wear and excess mileage over 30,000 miles at $0.25 /mile. All amounts shown are estimates, retailer sets actual amounts. Residency restrictions apply. Lessee has option to purchase vehicle at lease end at price negotiated with retailer and approved lender at signing. Termination fee may apply. Contact dealer for availability and for complete details. Available only to qualified customers through Audi Financial Services through 1/2/2099. 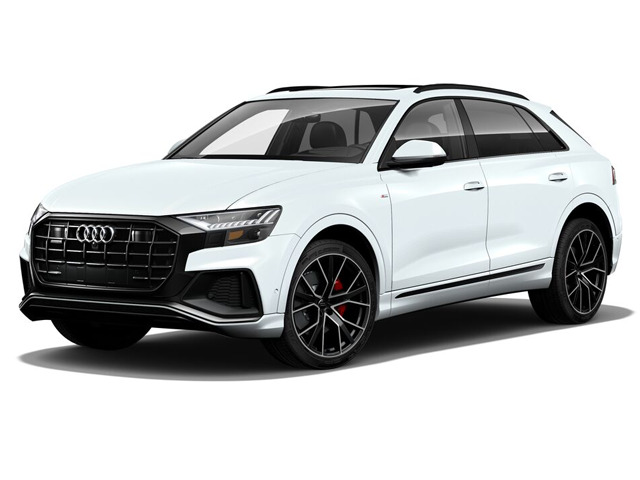 2019 Audi SQ5 3.0T Prestige, with an MSRP of $62,015. $4,623 due at signing includes $2,995 down, $0 security deposit, $895 acquisition fee and first month's payment of $733, excludes retailer fees, additional options, taxes, title and registration fees. Total monthly payments equal $26,388. Total payments equal $30,278. Actual rates and payments of closed-end lease may vary. Not everyone will qualify. You must take new retail delivery from dealer stock by 1/2/2099. Lessee responsible for insurance, maintenance, excess wear and excess mileage over 30,000 miles at $0.25 /mile. All amounts shown are estimates, retailer sets actual amounts. Residency restrictions apply. Lessee has option to purchase vehicle at lease end at price negotiated with retailer and approved lender at signing. Termination fee may apply. Contact dealer for availability and for complete details. Available only to qualified customers through Audi Financial Services through 1/2/2099. 2019 Audi TT Coupe 2.0T, with an MSRP of $52,190. $4,583 due at signing includes $2,995 down, $0 security deposit, $895 acquisition fee and first month's payment of $693, excludes retailer fees, additional options, taxes, title and registration fees. Total monthly payments equal $24,948. Total payments equal $28,838. Actual rates and payments of closed-end lease may vary. Not everyone will qualify. You must take new retail delivery from dealer stock by 1/2/2099. Lessee responsible for insurance, maintenance, excess wear and excess mileage over 30,000 miles at $0.25 /mile. All amounts shown are estimates, retailer sets actual amounts. Residency restrictions apply. Lessee has option to purchase vehicle at lease end at price negotiated with retailer and approved lender at signing. Termination fee may apply. Contact dealer for availability and for complete details.